If your dog has been accused of biting or attacking someone in Texas please call us. 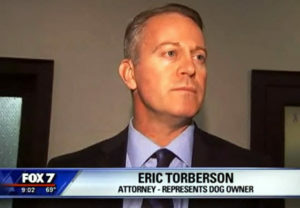 Eric defends dogs in court in what is called a dangerous dog hearing. Dogs, for the most part, do not get due process in court. They should have an experienced advocate to tell their side of the story. A judge’s decision can amount to life or death for your beloved best friend depending on what the court ruling is.